You train chess with great passion and vigour. You spend a month preparing for a tournament. You polish your openings, solve tactical puzzles and even do some work on your endgames. You feel you are ready for a great performance. You are going to continue your improvement. You are finally going to accomplish your goal. You go travel to a tournament. You have decided to invest 7 days of your time to participate in a regular Open. Your hopes are high and you can't wait to make your first move. Alas, things don't go as planned. You can't get into your stride. You make silly blunders or simply play badly. You suffer a terrible loss in the early stages of the tournament from which you never recover. Every subsequent game is a torture. After a while you don't feel like playing chess at all – you are just waiting for the tournament to end. Finally, after 9 rounds, you have nothing to show but just lost rating points and got negative feelings about chess. Bad tournament performances are a normal part of a chess player's life. But it doesn't make them easier to deal with. We all know how difficult it is to deal with a single loss, let alone a terrible tournament. After a wasted week and lost rating points, many players renounce chess and come on the verge of giving it up completely. As difficult as it is, it is not the end of the world. With the right approach and considerable effort, a failure can be turned into a great learning experience. 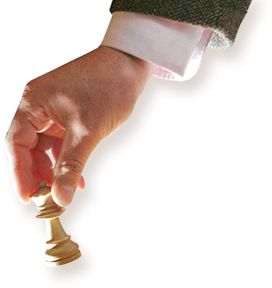 In this article, we will examine some tips on how to deal with a horrible chess tournament. 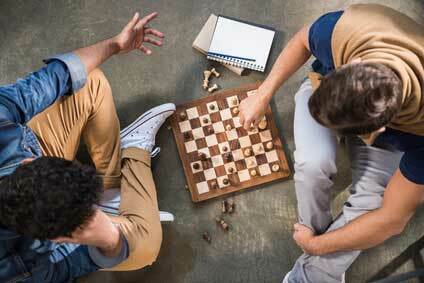 Socialize with other chess players. First of all, we, chess players, have a tendency to isolate ourselves after a tough loss or a tough tournament. We think we can solve our issues on our own and are reluctant to seek help and comfort from other people. Ironically, the worst thing we can do is to remain alone with our woes, as they are surely going to haunt us. Going out and hanging out with people is a better way of relieving some stress. Ideally, we would like to be surrounded by fellow chess players – they are more likely to understand what are we going through. Especially if they went through the same at some point in their careers. There is no shame in seeking emotional support. Even if we just went, if we do nothing apart from complaining and whining, having a friendly ear and feeling understood helps us express our negative emotions and better cope with them more successfully. Take a short break from chess. Chess tournaments can be long, stressful and energy draining. When you sit at the board for 4 or 5 hours for 7 days and have nothing to show for at the end, it can result in a small nervous breakdown. It is quite common for a chess player to be utterly disgusted with chess after a bad performance. In this situation, some players force themselves to get back to the game immediately and maniacally try to prove to everyone, including themselves, they are not that bad. This is the wrong approach since they aren't really enjoying it. Remember, if chess is not fun, you are doing it wrong. It is much healthier to take a break from chess to restore your energy levels and to forget about your failure. It may last for days, but even for a couple of weeks – as long as you need to fully recuperate. Until you feel the urge to sit at the chessboard again, you probably shouldn't, since your play will lack energy and creativity and probably be even worse than during the actual tournament. Of course, if you are a (semi) professional chess player with a tight schedule, you might have one tournament planned immediately after another. In this case, taking a break is obviously not an option. In such a situation, the best you can do is to try to forget the previous 9 games and focus completely on a new challenge. Sometimes, a mere change of location and the playing venue can have a positive effect and significantly improve your play (and result). Don't forget that everyone has a bad experience once in a while. In June, the author of these lines played his first Open tournament in two years, in Paleochora, Greece. So far, I have always gained rating in my chess tournaments. However, this time I was in for a crude awakening – after 9 rounds I was left with 5/9, a minus of 30 rating points and a severe depression. In the search for relief and inspiration, I stumbled upon Andrzej Krzywda's story. Andrzej is a 38 year-old chess player from Poland, who had a rating of 2100 for almost two decades. He then decided to devote himself to chess and recently raised his rating to 2300 and scored his first International master norm. However, after achieving such a tremendous success, something unexpected happened - he lost 64 points in a single tournament. Of course, bad tournaments don't happen only on an amateur level. In elite tournaments, there is almost always that one guy at the bottom of the standings who was completely out of form and who got beaten quite badly. And although comparing yourself to others is usually quite a terrible advice, it is worth remembering that elite chess players play chess for the living and don't have the luxury to play bad chess events that often. Yet, it happens even to the best in the world, so how can we expected it doesn't happen to us? Stating that failure is a good thing is sort of a cliche. But sometimes there is truth in cliches. Failure is often the most effective antidote to complacency. A reminder we are not as good as we might think we are. A reminder there is much to learn and much to master. We may use it as a fuel to motivate ourselves and to rediscover our grit and our willingness to work. The same can be said about chess tournaments. Every successful tournament is more or less alike, every terrible tournament is unique and has a specific story behind it. A fate of tournament sometimes depends on a single game. Even if you are playing great, even if the quality of your play is satisfying, an ill-timed blunder can ruin everything. Likewise, sometimes you can play badly or make a huge blunder and not get punished. In the course of a single tournament, everything can happen. It doesn't determine our strength and our quality as a player. The only way to minimize the effects of luck and chance is to play as frequently as possible. Even if you are momentarily in a bad form, in the long run, class shines through. We, chess players, are too concerned with our ratings. Sure, they are an indication of someone's strength, but not the most accurate one – a 2000 rated Indian youngster is stronger than a 2000 rated 75-year-old. But as much as we hate to hear it – the quality of play is more important than the actual rating. This is one of the first things a good trainer should tell his students. This is especially important for young players – their rating is usually more unstable and fluctuates more than a cryptocurrency price (even more ever since FIDE raised the coefficient for the young player up to 18 years of age to 40). Similarly like in the previous point – you can lose/gain many rating points in a single event even with good/bad play. But in the long run, the quality of your play will determine your strength and the rating will adjust accordingly. Analyze the games. Identify the mistakes. So far, we have devoted a larger part of this article on the psychological aspect of dealing with a bad tournament. This is not a coincidence – winning a battle against yourself, against your brain, is the most important and most difficult step. Once we have achieved the right state of mind, we can focus on chess. The first and the most important step is to analyze your own games. If you are not sure how to do that, we have written a detailed guide about the analysis of your own games. Although every step from the guide above is important, the key is to identify your mistakes. In the course of a bad tournament, there is bound to be a big number of them. After you have detected all of them, you can analyze them and try to understand how and why they happened. Take the bigger picture into account and be objective! When analyzing your own mistakes and drawing conclusions from a bad tournament, two things are important. Secondly, it is worth mentioning that circumstances away from the board very much affect your play on the board. Not sleeping enough, having a difficult life situation or playing a tournament in your hometown while you are working are all potential scenarios which may have a detrimental effect on your performance. Some of the mistakes might be a consequence of the bigger picture. It is important to have your life settled down and to minimize the distractions in order to give your very best. In the end, if you are serious about becoming a better player, nothing else apart from hard work remains. In chess, hard work sooner or later pays off. If you are consistently trying to improve, sooner or later you are bound to see the effect of your work. The conclusions you have reached while analyzing your mistakes might help you to work not only harder, but also smarter. You should know which aspects of the game are your weakest points, in which areas there is plenty of room to improve and what you should focus on. If you get over your disgust with chess, if you have managed to motivate yourself by your failure, you will find it easy to work with a redoubled effort – more vividly and more ardorously than ever before. And this will surely lead to wonderful results.